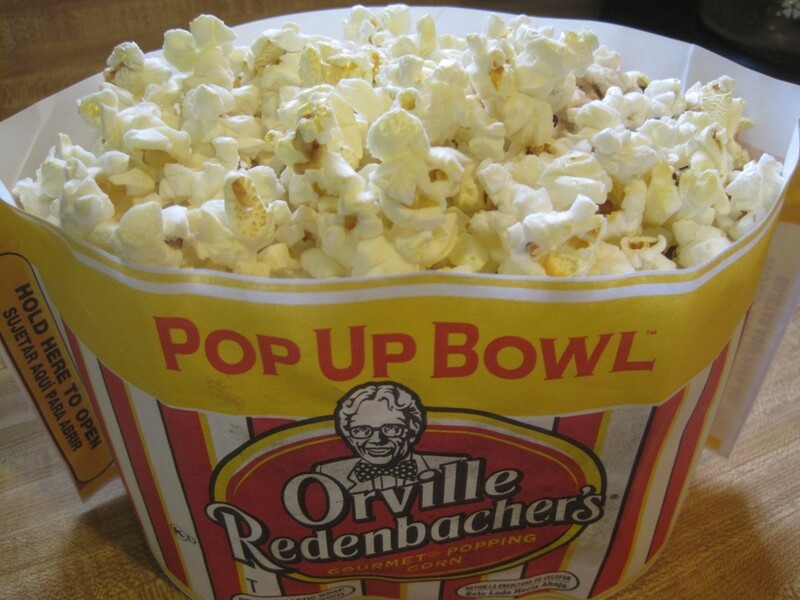 It’s a long weekend and we have been watching several movies and enjoying Orville Redenbacher’s SmartPop! So to celebrate Memorial Day, let’s have a super quick giveaway for some popcorn. Usually whenever we have these movie marathon weekends we gorge on as much unhealthy snacks as we can get our hands on. Our favorite is usually the butter laden movie popcorn. But with the summer coming on, we have to cut back on the fatty stuff some and go a little more healthy. 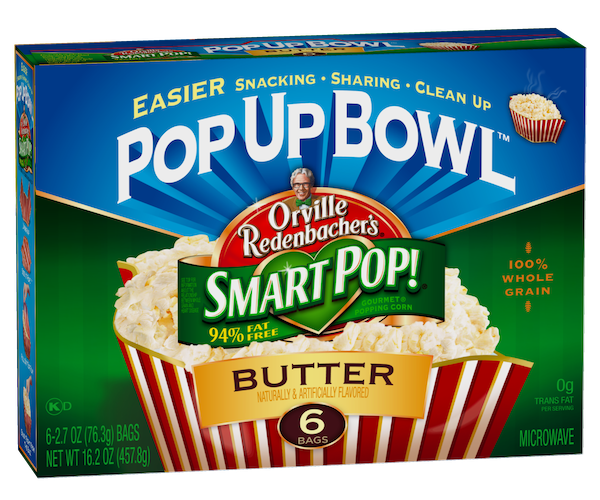 The sample pack I received of Orville Redenbacher’s SmartPop! came just in time. SmartPop! is 94% fat free and each bag is only 100 calories! And this new pop up bowl packaging… don’t you just love it? Well it is less oily than the usual microwave popcorn anyway, but this new packaging also keeps your hand from sliding against the bag and getting all greasy. It’s also easier to reach into when you’re sharing with others. But at this calorie level, everyone can actually have their own bag! Now how would you like to sample Orville Redenbacher’s SmartPop!? Thanks to the Orville Redenbacher’s SmartPop! Blog Tour and Mom Central, we’ll pick ten winners to each get a box of ten SmartPop! Since this is going to be a quick giveaway, it will be very easy to enter too. All you have to do is leave a comment and tell me what you love most about popcorn, and why you’d like to snack healthier with Orville Redenbacher’s SmartPop! If you’re a regular on facebook, make sure to visit the Orville Redenbacher’s facebook page for coupons and other fun things to do like the Pop Cam Games. THIS GIVEAWAY IS NOW CLOSED. THANK YOU TO EVERYONE WHO LEFT A COMMENT, YOU WILL ALL GET A FREE PACKAGE OF ORVILLE REDENBACHER’S SMARTPOP! POPCORN.